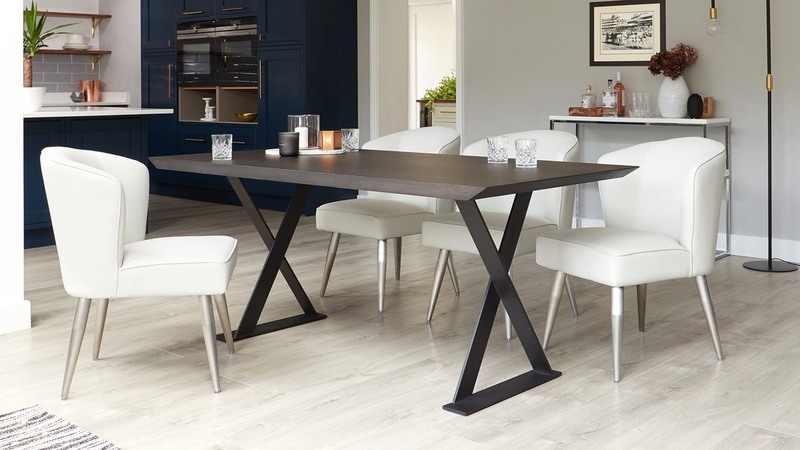 The Nala Dark Oak Dining Table and Mellow Chair Set is a modern and stylish dining set. 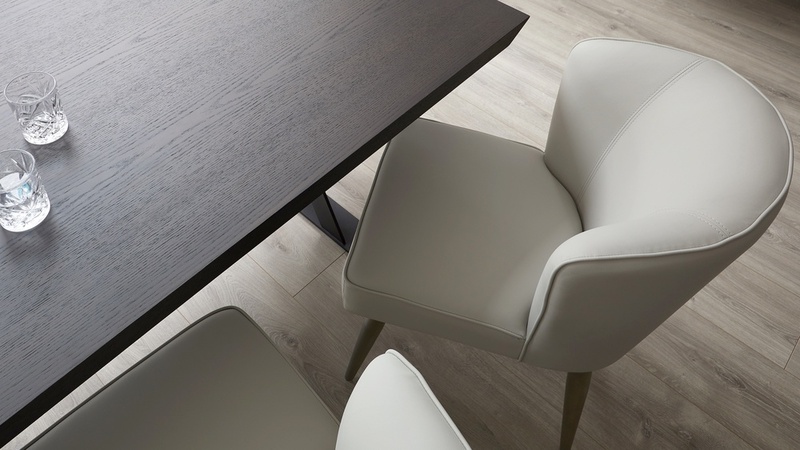 With a combination of tactile finishes, from the dark, smoked oak veneer table top to the soft faux leather seats and brushed metal chair legs. 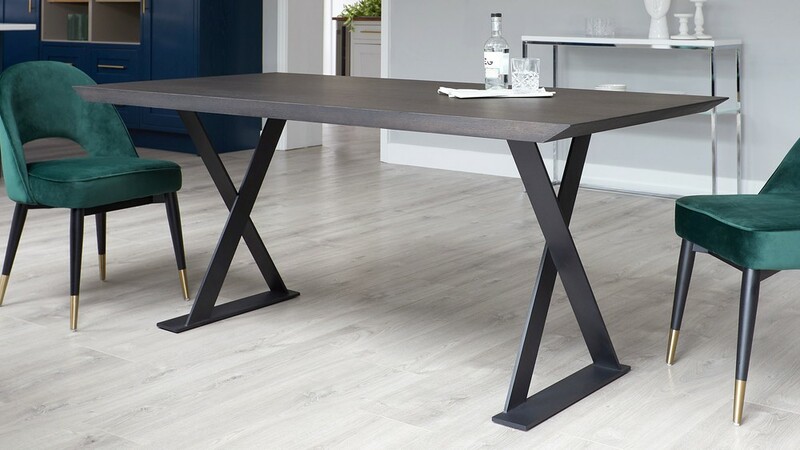 The modern dining table with it's funky crossed leg design and angular chamfered edge contrasts beautifully with the soft, curved lines and sleek legs of the Mellow chair. 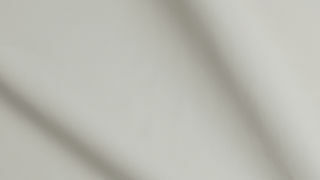 The Nala’s most distinguishing feature are the crossed ribbon legs. 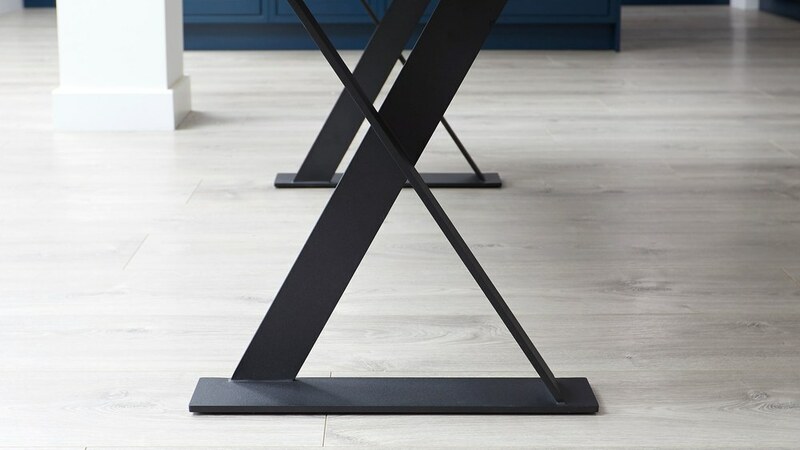 Inspired by a traditional trestle table, the Nala’s angled and crossed legs give the table a constantly changing appearance when viewed from various positions around your dining room. 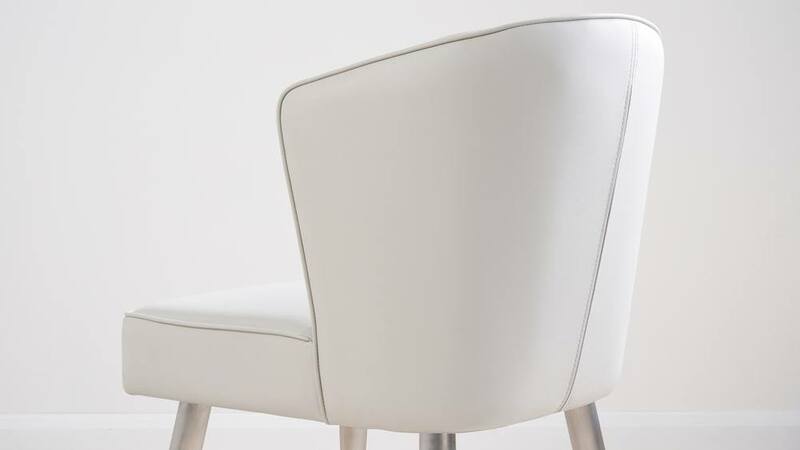 The Mellow Chair has a medium-soft comfort level thanks to the no sag zig-zag springs and fibre wrapping. 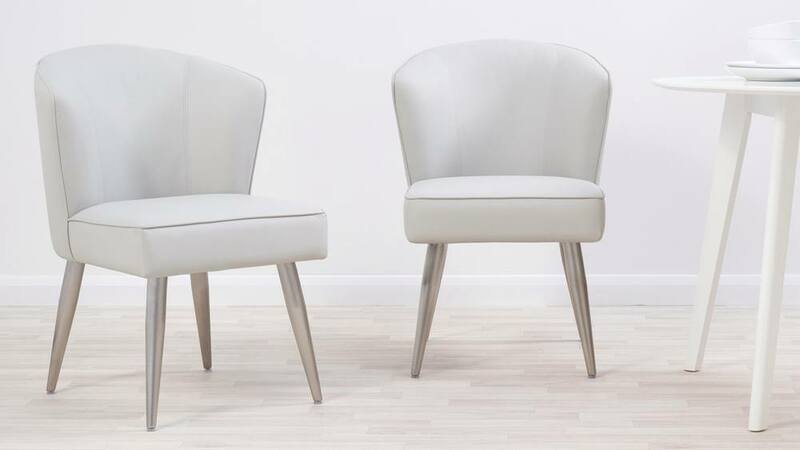 No sag springs mean exactly that- they'll allow the chair to retain its original, smooth shape when vacated, while the fibre wrapping offers plenty of comfort and support when seated. 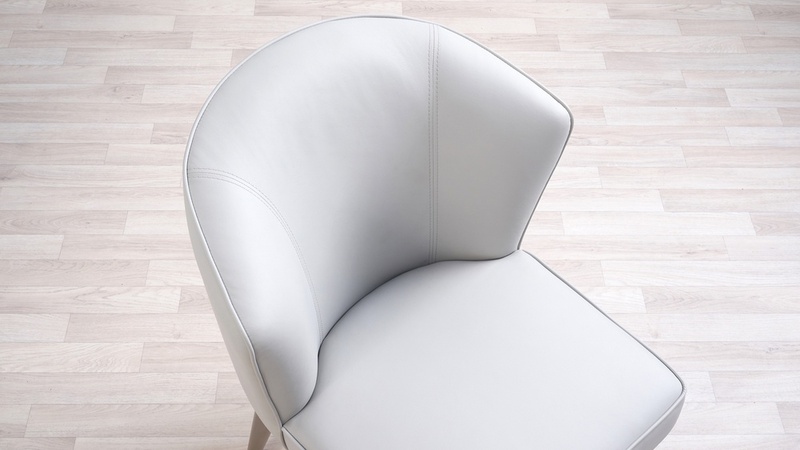 The curved back of the Mellow chair gives this seat its comfy, cosy look. 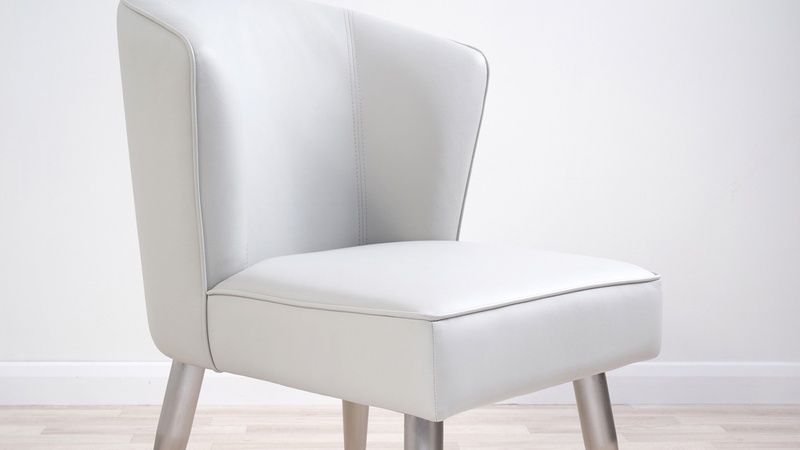 This chair is ideal if you often stay sat chatting around your dining table and want to stay sitting comfortably for longer. 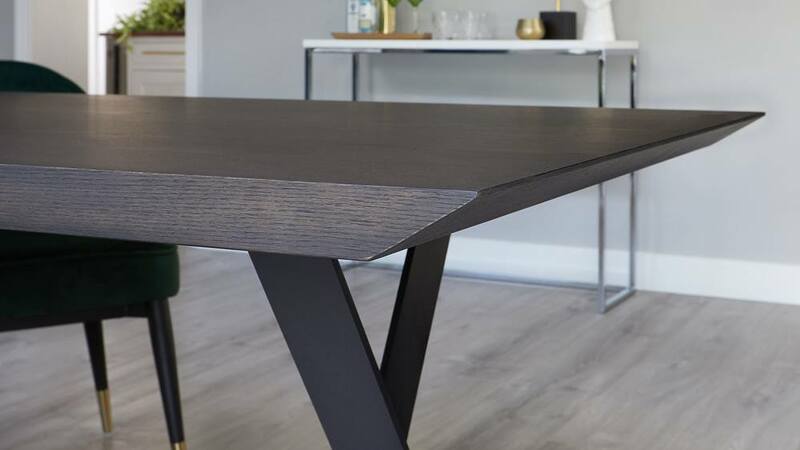 The ends of the Nala table have a bevelled edge. 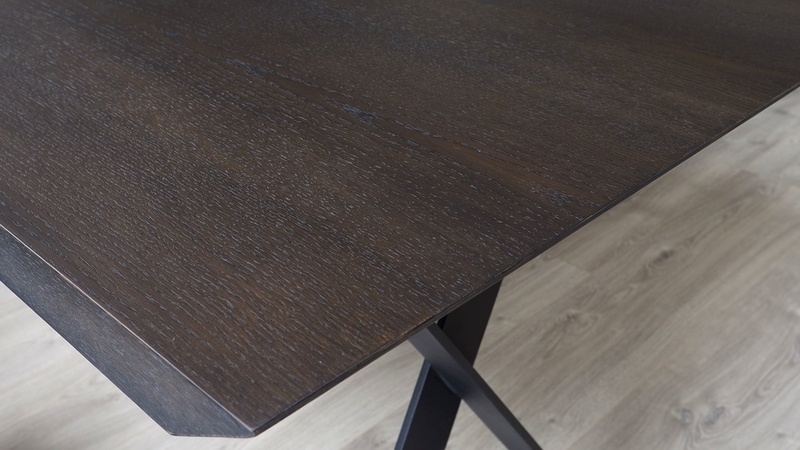 The chamfered edge design gives the Nala table a modern, urban look. 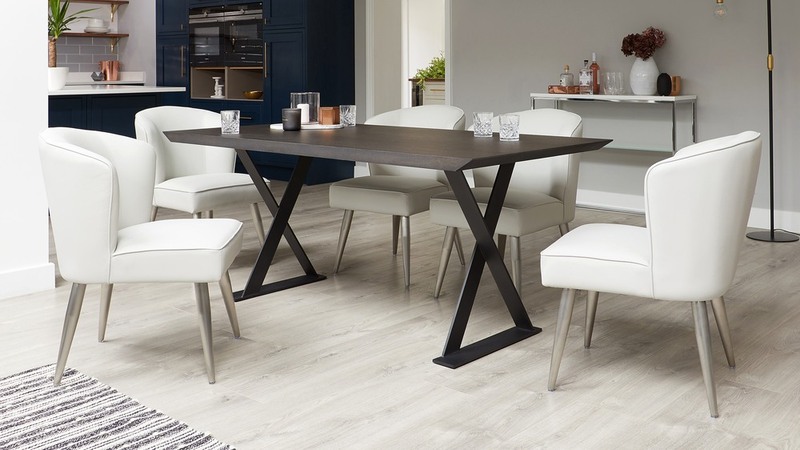 The Nala wooden and iron dining table can seat between 6 to 8 people, we’ve included 6 chairs in this set, however, you could squeeze an extra 2 people around the table if you need to accommodate a number of dinner guests. 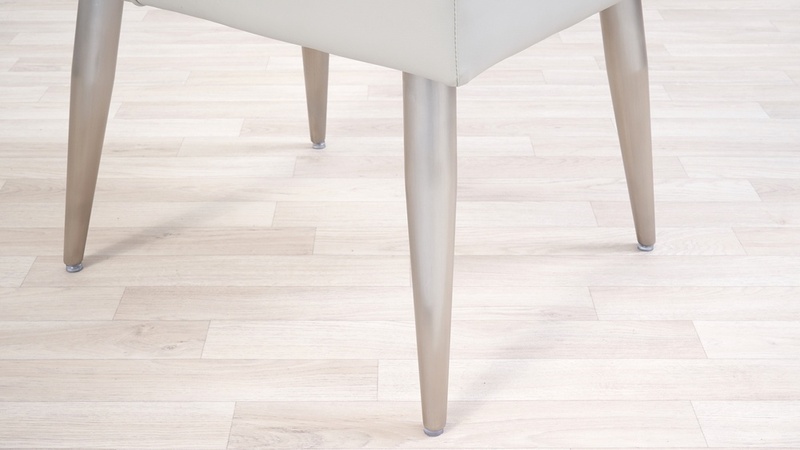 The legs of the Mellow chair are slim and tapered, with a stainless steel finish. 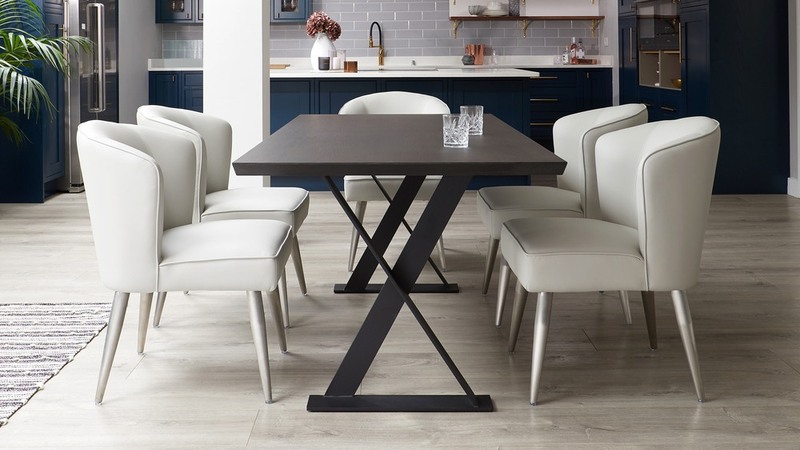 Stainless steel is modern and easy to clean but it's less shiny than chrome and adds a subtle edge to this contemporary dining set. 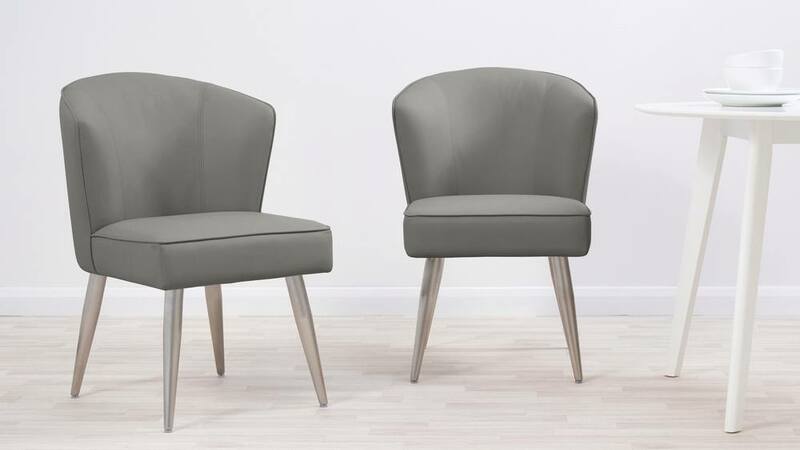 The Mellow Chair coordinates with the Mellow Bench range, which is available with backrest and without backrest, if you’re after a slightly different look.